Blown Away by NACL’s Stormy Weather Project. 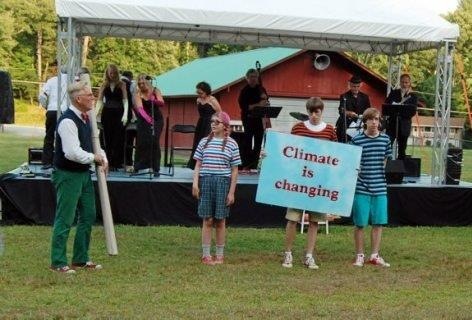 LIVINGSTON MANOR, NY (June 15, 2015) – Following the great success of “The Weather Project” premiere last August in Yulan, Highland Lakes’ NACL Theatre’s “community” has put the finishing touches on a compact, touring version of the performance. 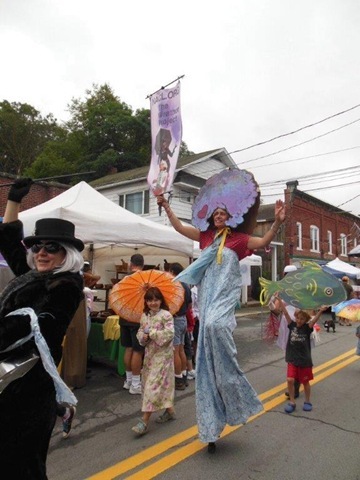 This summer “The Weather Project” will tour to Livingston Manor, Liberty (see below), and Honesdale. 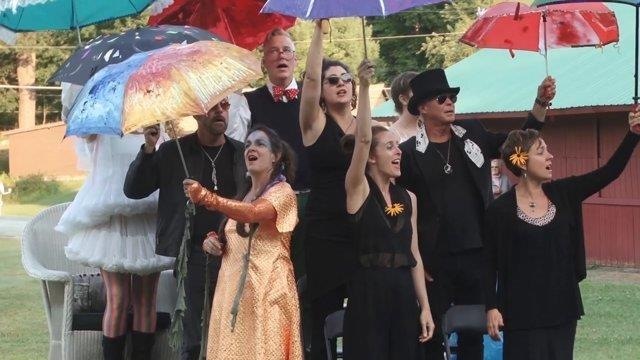 I caught the presentation that happened in Livingston Manor’s Renaissance Park immediately after the June 13 Trout Parade, and have to say – pun intended – that I was blown away by the Weather Project. Conceptually, it is a masterwork, in that it is rife with imagination and inspiration, and involves – is performed by – adults, teens and kids, uses a variety of theatrical devices – spoken word, dance, music, and was written by NACL Theatre’s directors Tannis Kowalchuk and Brett Keyser, and a host of community “co-playwrights” of all ages. A true community project. The most theatrical and powerful theatrical device for me were the magical and inventive costumes and accompanying makeup. These fantastic (as in fantasy) elements drew me completely into the story as I watched the climate-change-message, cleverly using teens as the protagonists, unfold with clarity, warning, explanation and hope. 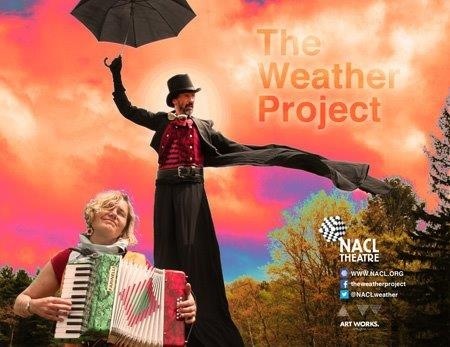 NACL and the travelling troupe will present the not-to-be-missed half hour version of “The Weather Project” during Liberty’s July 4 festival, at 1:00 p.m. at the Liberty School on Main Street. Admission is free.